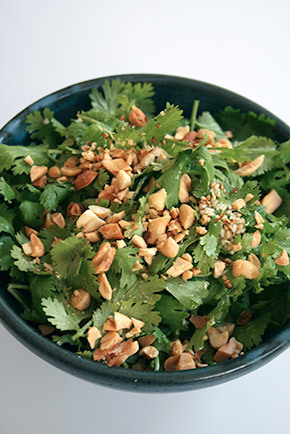 If you are a cilantro lover, this recipe is for you. I always think cilantro is underused. People don't use it as a key ingredient. 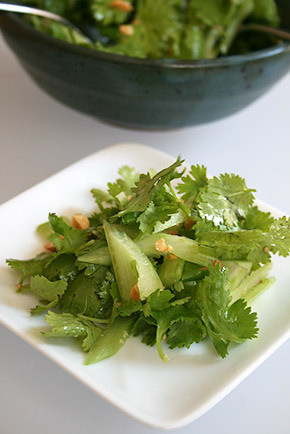 This salad is great as it is as a side but also great on top of rice or noodles with grilled chicken or shrimp. 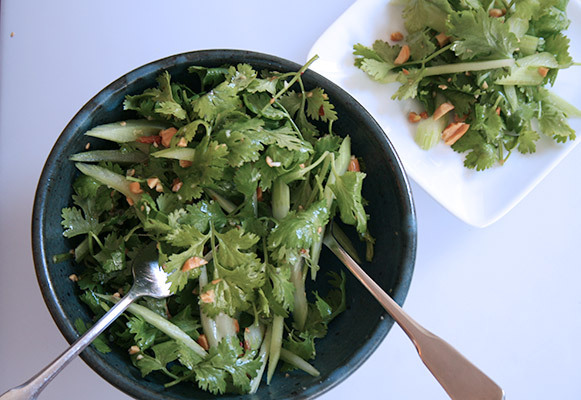 In a serving bowl, put the sliced celery stalks and cilantro leaves. Mix all the other ingredients except the peanuts in a small bowl and pour over the salad and mix well.